Busbee's Trucks and Parts | Providing truck owners with useful information, advice, expertise, resources and inspiration for finding and fixing flat nosed, medium sized trucks and truck parts. Providing truck owners with useful information, advice, expertise, resources and inspiration for finding and fixing flat nosed, medium sized trucks and truck parts. Ice ice baby! The ice and snow is upon us, and safe winter driving in your Mitsubishi Fuso, Isuzu, Hino, or UD freight truck requires good handling techniques, but even expert drivers have a hard time navigating through snow and ice in trucks that aren’t prepared for wintry conditions. Knowing how to maintain the braking system properly is the key to a long lasting system and will ensure highway safety. Proper brake maintenance practices are especially vital when considering your time and more importantly – safety. Addressing contamination and corrosion is important because of the ripple effect it can have on other parts of the vehicle. With all of the difference de-icing materials on the road today, inspecting the chassis components, especially the linings and wiring for damage and corrosion is very important. Also inspect for oil and water in the air brakes reservoirs. Any form of corrosion on the braking system will damage the overall system further. Slack adjusters must be inspected frequently to ensure they are in optimal condition. Technicians should not adjust the brakes during preventive maintenance procedures, instead they should check the free stroke and then measure the power stroke. This will enable to technician to know if the slack adjuster is working correctly. Maintain a clean air system. Drivers should drain the air tanks daily. At a minimum, the air dryer should be serviced once a year. It’s imperative you keep dry, clean air in the system at all times. Perform a visual inspection or walk-a-round, adding miles or years to the life of the vehicle’s braking system. Drivers are required by the department of Transportation’s Commercial Vehicle Safety Alliance to perform pre- and post-trip inspections. There is a good chance the driver will catch a small failure prior to a major problem. It will keep costs under control and major repair expenses down. The anti-lock braking system (ABS) should be in optimal order. It’s essential to check the ABS warning light, the speed sensors, tone ring, wiring and connectors, and the electronic control unit diagnostics. The ABS warning light is an indication something may be wrong. During operation it may light up, which means there may be an intermittent problem the driver needs to report. The introduction of more electronic sensors will provide more information on individual components that place a higher demand on the electrical system. Undoubtedly, there will be additional data for technicians, as well as new maintenance procedures. Proper training must be in place to deal with and accept new technology. Safe winter driving in your Mitsubishi Fuso FE, FH, FK or UD 1200, 1300, 1400, 1800 or 2000 series, Isuzu NPR, NQR, GMC W3500, 4500, 5500, any other mid size truck or even regular passenger cars requires good handling techniques, but even expert drivers have a hard time navigating through snow and ice in trucks that aren’t prepared for wintry conditions. Every system in your truck should be in good repair to take on winter driving, but we depend on tires and brakes to roll us where we want to go and slow us down when it’s necessary. Maintenance for both should be at the top of your to do list. Perform a visual inspection or walk-a-round, adding miles or years to the life of the vehicle’s braking system. Drivers are required by the department of Transportation’s Commercial Vehicle Safety Alliance to perform pre and post-trip inspections. There is a good chance the driver will catch a small failure prior to a major problem. It will kepp costs under control and major repair expenses down. The antilock braking system (ABS) should be in optimal order. It’s essential to check the ABS warning light, the speed sensors, tone ring, wiring and connectors, and the electronic control unit diagnostics. The ABS warning light is an indication something may be wrong. During operation it may light up, which means there may be an intermittent problem the driver needs to report. It’s important to keep a close eye on things when it comes to detecting wheel-end problems with your Mitsubishi Fuso, Isuzu, Hino, or UD freight truck. Careful observation can reveal early signs and symptoms of wheel-end problems before bearings are damaged and need to be replaced. With immediate inspection and maintenance, you can reduce bearing damage in conventional wheel ends, and save on long term costs. Begin with a simple walk-around wheel inspection. The coolant in your Mitsubishi Fuso, Isuzu, Hino, or UD freight truck operates in a closed system, meaning that it circulates from the engine’s cooling passages to the radiator, the heater core and back again. It should never leave that loop. If somehow getting into the oil passages or the cylinders (and, from there, out the tailpipe) something has gone terribly wrong. Your head gasket has cracked, your head itself has cracked or, worst of all, your block has cracked. A cracked engine block can cause performance troubles with any Mitsubishi Fuso FE, FH, FK or UD 1200, 1300, 1400, 1800 or 2000 series, Isuzu NPR, NQR, GMC W3500, 4500, 5500, any other mid size truck or even regular passenger cars, and in time, can cause your vehicle to stop running altogether. Fortunately, there are ways to identify a crack in the engine block, which can help lead to repairs or replacements. Look for leaking engine coolant, most notably as it drains out the bottom of a car. This is a telltale sign of a cracked engine block, and in time, can cause an engine to overheat. Check the dashboard and check gauges. If any of the dashboard lights come on, whether related to oil or coolant, this could signify a cracked engine block. Also, if the temperature gauge begins to signal overheating, this could mean engine coolant is leaking, which is a potential sign of a cracked engine block. Look for extra smoke coming out of an automobile’s exhaust pipe. While a certain amount is common, extra amounts–long trails coming out of an exhaust pipe–could signify a cracked engine block. Check to see if a car radiator’s mixture of engine coolant and water is optimal. This should be half water, half antifreeze, in most cases (it will often be indicated on an antifreeze bottle’s instructions). If the mixture is not proper, this can cause the mixture to freeze, which will crack the engine block. There are very few engine failures that any mechanic would consider beyond repair, but first among them is the cracked engine block. The end result is generally irreparable damage. Additives like sodium silicate (a.k.a. “liquid glass”) can help delay complete failure of a slightly fractured block, but it will never be as strong or reliable as it once was. Low Antifreeze But Nothing On The Ground – Where Is It Going? There is no sign of antifreeze dripping on the ground beneath your vehicle, but you frequently add coolant and continuously find your Mitsubishi Fuso, Isuzu, Hino, or UD freight truck low on antifreeze. Where is it going? Oil galley / return (ends up in the oil pan) – A visual inspection of the oil, oil dipstick, oil filler cap and PCV valve may show a white, milky film of homogenized oil and coolant. An increase in oil level or the bittersweet smell of ethylene glycol on the dipstick are solid evidence of a significant internal leak. Combustion chamber – The smell of coolant or a whitish cloud of smoke from the exhaust at start-up can be an indicator of coolant in the combustion chambers. If this is the case, it can be confirmed by a chemical test for exhaust hydrocarbons in the coolant. Heater Core – The heater core is located inside the heating ventilation and air conditioning (HVAC) unit under the dash. It is out of sight so you cannot see a leak directly. Look for stains or wet spots on the bottom of the plastic HVAC case, or on the passenger side floor. Water pump – If you have a bad shaft seal, coolant can dribble out of the vent hole just under the water pump pulley shaft. If the water pump is a two-piece unit with a backing plate, the gasket between the housing and back cover may be leaking. The gasket or o-ring that seals the pump to the engine front cover on cover-mounted water pumps can also leak coolant. Look for stains, discoloration or liquid coolant on the outside of the water pump or engine. Intake Manifold gasket – The gasket that seals the intake manifold to the cylinder heads may leak and allow coolant to enter the intake port, crankcase or dribble down the outside of the engine. Radiator – Radiators can develop leaks around upper or loser hose connections as a result of vibration. The seams where the core is mated to the end tanks is another place where leaks frequently develop, especially on aluminum radiators with plastic end tanks. On copper/brass radiators, leaks typically occur where the cooling tubes in the core are connected or soldered to the core headers. Internal corrosion caused by old coolant that has never been changed can also eat through the metal in the radiator, causing it to leak. Hoses – Cracks, pinholes or splits in a radiator hose or heater hose will leak coolant. A hose leak will usually send a stream of hot coolant spraying out of the hose. A corroded hose connection or a loose or damaged hose clamp may also allow coolant to leak from the end of a hose. Sometimes a leak may only occur once the hose gets hot and the pinhole or crack opens up. Freeze plugs – These are the casting plugs or expansion plugs in the sides of the engine block and/or cylinder head. The flat steel plugs corroded from the inside out, and may develop leaks that are hard to see because of the plug’s location behind the exhaust manifold, engine mount or other engine accessories. On V6 and V8 blocks, the plugs are most easily inspected from underneath the vehicle. Relatively simple, inexpensive tests can identify specific internal coolant leaks. Driving your Isuzu or Hino Box Truck can rather be risky, but we have 7 essential things to keep in mind while driving a truck you’re not accustomed to driving. This truck will take much longer to stop than your car, especially when loaded. Dont tailgate, avoid traffic if you can, and be prepared to stop. Give yourself more room than you usually do from the car infront of you, because stopping will take much much longer than a regular truck or car. Find a gas station that is large and uncrowded. That way you avoid backing up and can just drive foward the whole time, you don’t want to have to worry about making a turn too sharp and clipping something. Just find a wide gas station, with few cars, and enough room to manuever easily. Be familiar with the exact height of the truck before driving. If you see an overhang, make sure your truck can fit underneath. Don’t be afraid to walk a long distance after parking. Don’t try to go in a crowded lot and find a tight area. Avoid backing up if you are not used to the length and blindspots of this vehicle. The best way to back into a loading dock is to roll down your windows, and always have someone guide you if you can. Otherwise, get out of the vehicle, inspect all things behind you, then get back in and do it slowly. Warn the people around you of what your are doing so no one gets in the way. Most likely, using side mirrors can be awkward especially if you are accustomed to using the rear-view mirror. But when you are driving box trucks you must constantly check your side mirrors for approaching traffic. The design of these vehicles do not allow a rear-view window to be installed thus side mirrors are essential. You must be aware that this is the only way of viewing traffic from the back and the sides. Driving this type of vehicle requires that you are comfortable with the mirror, that is why having a passenger beside if also helpful. Having a passenger help you will help stop common errors. The other person can help you back out a large vehicle, check for oncoming traffic and determine safety of the automobile. Driving a large vehicle can be risky as you have lots of blind spots. This is especially true if you are just adjusting to the controls. A passenger or a co-pilot beside you will certainly help fill up these blind spots. This is not always an option though, so sometimes you will have to rely on mirrors. Perhaps setting up a second set of mirrors can help you with visibility. Among all other driving guidelines, awareness of the surrounding is of utmost importance. Since you are driving a large vehicle, you must always be mindful of where you are at positioned the road. Failure to determine positions proves to be the main cause of many accidents. In fact, over compensating can often lead to major errors. To prevent unnecessary accidents, you must take your time and follow traffic rules at all times. This makes driving a box truck a lot easier. Using your side mirrors gives you an overall view of the traffic around you. Having someone as a co-pilot gives you extra safety and prevents any accidents. Being mindful of the surroundings ensures the safety of everyone in traffic. Remember these guidelines by heart and you are on your way to a safe drive. If you are looking for a new or used box truck, visit our website for our list of inventory. We have USED Isuzu NPR, NQR, NRR, FRR, FTR, and FVR Truck Parts, UD Truck Parts, Mitsubishi Fuso Truck Parts, GMC W3500, GMC W4500, and GMC W5500 Truck Parts. We’re all trying to make it through the hottest time of the year, and when your job takes you all over the country, you really feel the impact. The temperature outside doesn’t even compare to the temperature inside a cab that’s been sitting off or with a broken air conditioning unit. Not to mention that many of you will be climbing in and out of the back of the trailer to help facilitate loading and unloading. The more you do, typically the better it is for you, but when it is one-hundred degrees out it becomes a safety issue. Work with the heat. Like your truck, if the temperature rises too high you will overheat. Drink water. It will replace the sweat and liquids you are losing to the heat and make sure you don’t pass out from dehydration. Take a cooler when you’re on the road and stay hydrated! Buy a portable fan for both your cab and dry van. If your Isuzu or Hino trailer has electrical outlets it might be a good idea to move the fan out there when loading and unloading. Wear sunglasses that filter UVA and UVB rays, use waterproof sunscreen, and a hat or visor to protect your skin and eyes from the sun. Depending on what part of the country you are in, the heat can have different affects on your body. Some people call it “dry heat” vs “humid.” One might feel a bit cooler with a dry heat but you are still losing water just as fast. Don’t forget to hydrate no matter what. There are many truck brands around the globe. Some of the famous brands are Nissan, Isuzu, UD, etc. Trucks manufactured by these companies are known for their powerful engine, impressive designs, fuel-efficiency, quality components and outstanding performance on the roads. Those who are thinking of buying trucks can go for one of these name-brands. UD trucks in USA are quite popular among buyers. The company is a leading name in light-duty and medium-duty commercial trucks that are mostly used for transporting delicate goods such as medical equipment and more. These trucks run easily on difficult roads and offer safe delivery of the cargo. Some people prefer Isuzu trucks. The F-series vehicles of Isuzu come with cab over designs and cabins. Isuzu FTR is a commercial truck, which hauls great quantity of goods. It runs on diesel and offers a comfortable ride. Those who need small trucks, Nissan is the brand for them. When it comes to truck engines, transmissions and other parts, all of these are easily available in the market. 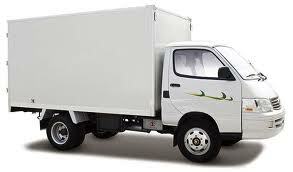 There are many stores that provide Isuzu, UD and Nissan truck parts. Some of them offer high-quality used truck parts as well. People can save money with these good-to-use second-hand components. Those who have started a new business and need trucks for delivering goods can purchase pre-owned trucks. These used trucks run well on the roads and can accomplish shipping tasks without causing trouble. In this way, small companies can carry on business operations without making huge investments in new trucks.